Generously grease the inside of a 10-inch bundt pan with UP Certified Extra Virgin Olive Oil. Add a tablespoon of granulated sugar. Tilt and rotate the pan to evenly distribute the sugar in the bottom and sides of the greased pan. Tap out any excess sugar. Whisk together the flour, baking powder, salt and sift. With an electric mixer beat the eggs until they are pale and light; slowly pour in the sugar while beating. Next whisk together the sour cream, UP Certified extra virgin olive oil and vanilla and mix until incorporated. Add the flour to the wet ingredients beating after each addition, scraping down the bowl a couple times in the process. Bake in the center of the oven for 45-50 minutes until a cake tester or wooden skewer inserted into the middle of the cake comes out clean. Allow to cool for 10 minutes and then carefully invert onto a cooling rack to cool completely. In a microwave proof bowl, heat the cream on high for 1 minute. Add the chocolate to the bowl and allow to sit for 2 minutes without stirring. Whisk well until all the chocolate has melted and there are no lumps. Add the balsamic and whisk well. Pour the still warm liquid glaze over your cooled cake. 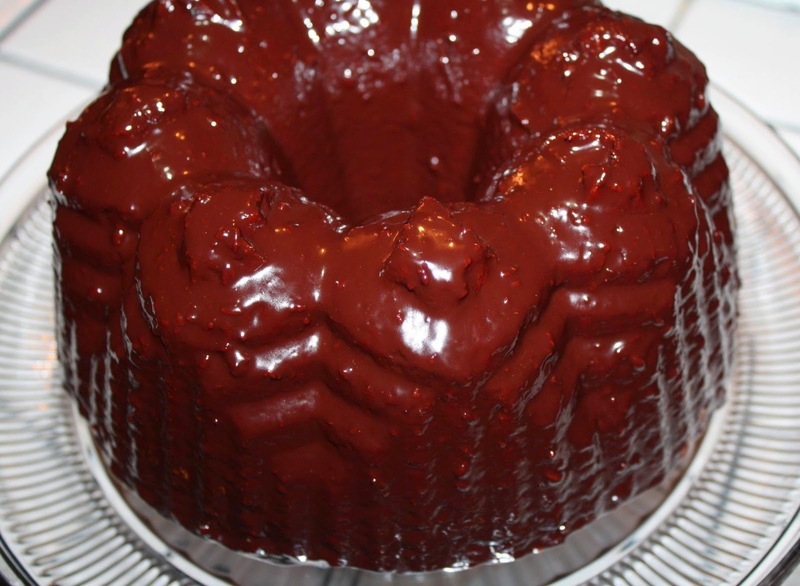 Allow the glaze to set up on the cake at room temperature for at least 30 minutes before serving.